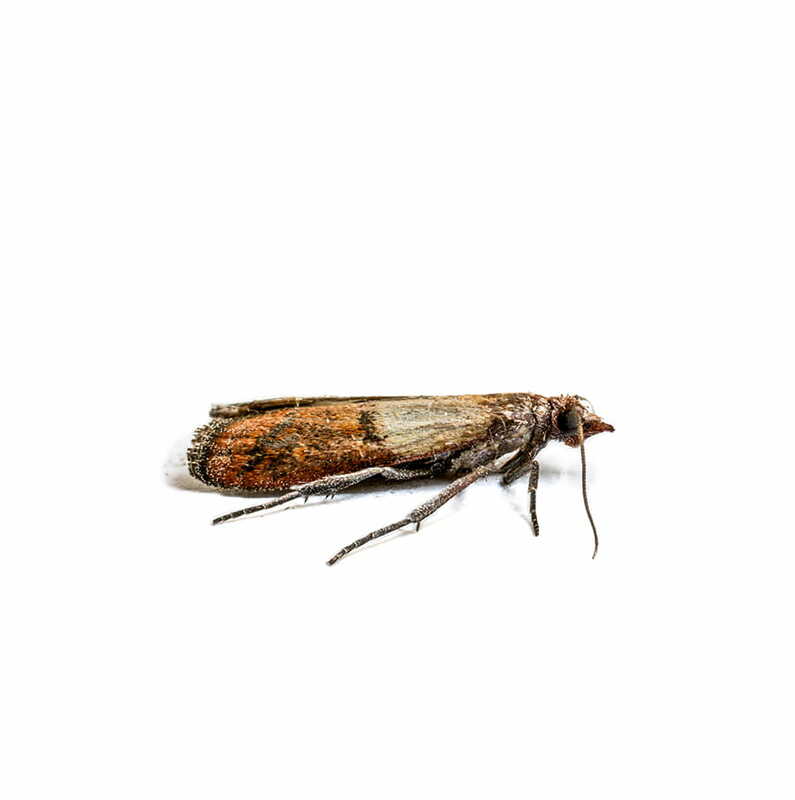 Indian meal moths contaminate far more food than they can eat—creating waste and increased living costs to the homeowner or property manager. Indian meal moths are 1-1.3 cm long with wings folded over the back. Their wings are two-toned, with the bases a pale gray and the ends reddish brown or copper. They contaminate far more food than they can eat. Indian meal moths can be found in grains, seeds, powdered milk, dog food, crackers, candy, nuts chocolate and dried fruit. Indian meal moths are 1-1.3 cm long with wings folded over the back. Their wings are two-toned, with the bases a pale gray and the ends reddish brown or copper. The Indian meal moth lives in a wide range of conditions, making it a persistent pest. They can be found in grains, seeds, powdered milk, dog food, crackers, candy, nuts chocolate and dried fruit. Female meal moths lay eggs on food, producing as many as 400 in 18 days. There are usually four to six generations per year depending on the food supply and temperature conditions. Are Indian Meal Moths hazardous to humans? What causes an Indian Meal Moth infestation? 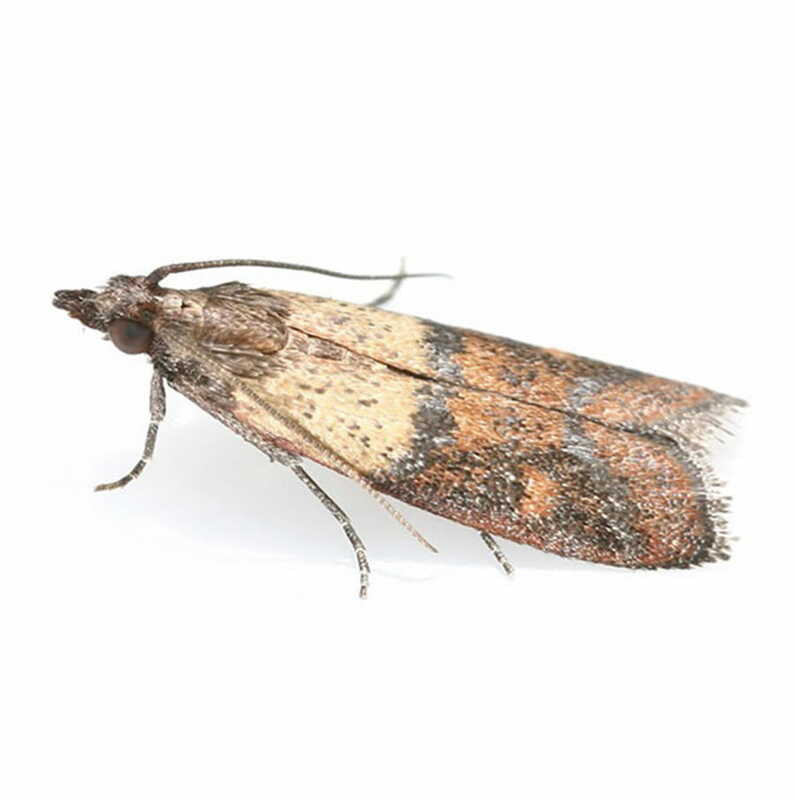 For the most part, pantry pest infestations (including Indian meal moths) occur when packages that are already infested are brought into the home from the grocery store. In search of food, the pests find their way into cereals, dried fruit, pasta and other products. 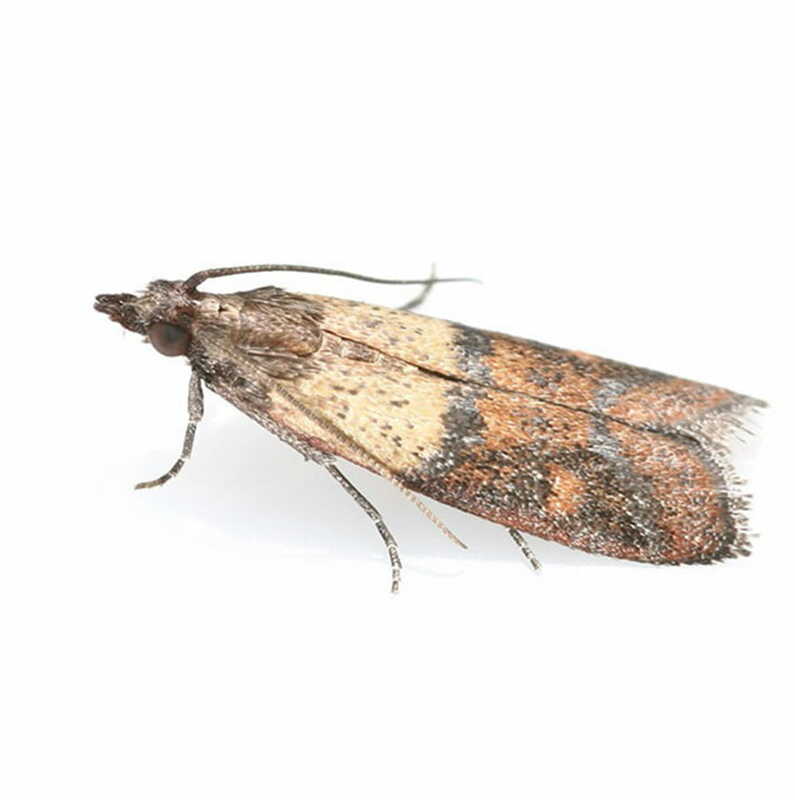 How can I prevent an infestation of Indian Meal Moth? Regular inspection of stored products in the home or food plant and inspection of such products prior to entry into the facility should take place to prevent an infestation of Indian meal moth. How do I remove an Indian Meal Moth infestation? Clean thoroughly to remove all food sources for any hidden or surviving pests. Vacuum up crumbs, wipe down shelves, corners and floors. Pull out your stove, refrigerator and appliances to clean behind and beneath.